Aerial Photos of the Cool Earth Solar Test Site. Plans for a 1.5 MegaWatt (MW) Solar Farm in Mountain House. I decided to omit a detail or two from In Search of the Chevron BrightSource Solar-to-Steam Demonstration Plant such as the flight’s origin, Livermore Airport. Approaching from the southeast on the return leg, I realized our flight path might take us over Cool Earth Solar (CES) sites of interest. 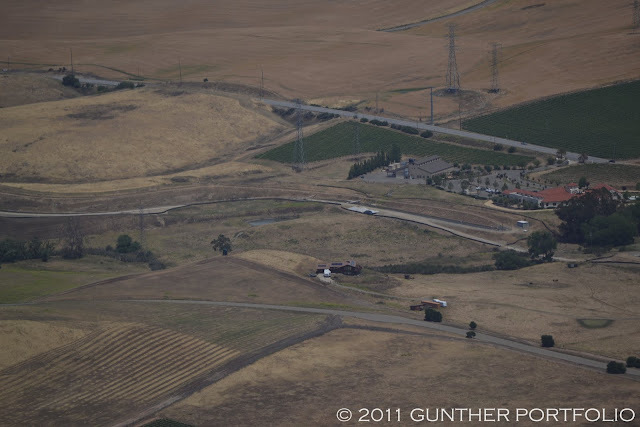 After flying over Greenville Road vineyards and wineries, our plane flew past the original project site proposed by CES on Tesla Road. Next, our path crossed over the Cool Earth Solar headquarters and test site as shown below and in the headline photo close up. 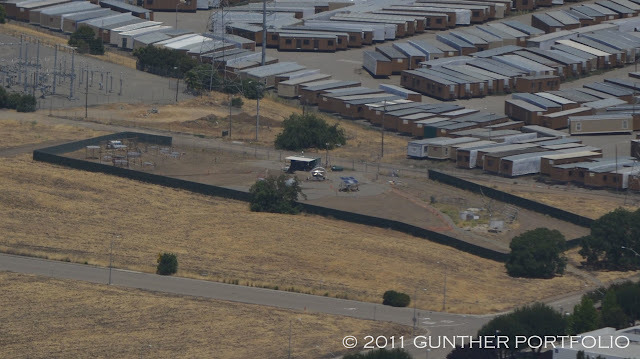 This was my first peek behind the fence and inside the test site since The Hunt for Cool Earth Solar. During post flight photo analysis, I observed the Gen 3 test systems along with various concentrating dish experiments and reference crystalline silicon solar modules for performance normalization. You are correct; we do have a number of film experiments and long-term tests in process. As you can see, we also have 4 full system prototypes in the field undergoing long-term tests. We have a few more full systems going out to this field location in the next week. We have systems that have been in uninterrupted testing for over a year. Our film testing is demonstrating at least 2 years of lifetime, so far. I also did a ground survey of both GreenVolts and CES subsequent to the flight. 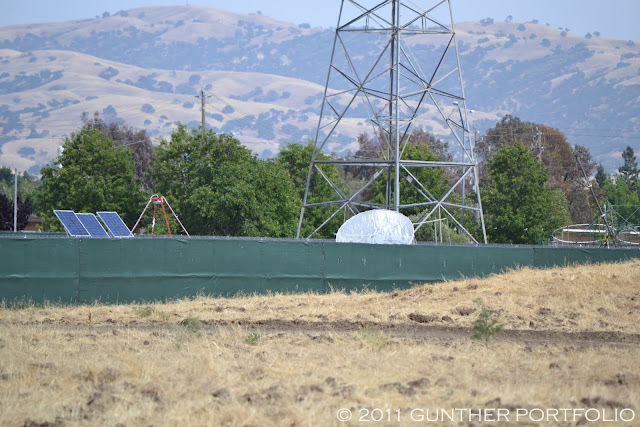 At Cool Earth Solar, I observed an open dish with receiver that appeared to be tracking and one of the Gen 3 systems. Per “Mountain House’s general manager retires” in the Tracy Press, Cool Earth Solar, Inc., Director, Business Development Tony Chen presented their proposal (video) for a 1.5 MegaWatt (MW) solar farm at the Mountain House Community Service District (MHCSD) Board of Directors meeting on July 13, 2011. The first phase 1.5 MW solar farm would consist of fifteen-hundred (1500) 1 kWp (kilowatt-peak) solar collectors covering 30 acres (12.1 hectares) of the 145 leased acres. Per my understanding, the solar farm will be centered around the Modesto Irrigation District substation servicing the community of Mountain House though I don’t know the exact parcel. A representative said power-purchasing talks are ongoing with the Modesto Irrigation District and Pacific Gas and Electric Co.
Director Jass Singh expressed concern about the location of the field, wondering why Cool Earth selected the fallow agricultural land instead of a parcel farther from Mountain House. The company said that the location for what might eventually be a 10 megawatt solar farm — which would be visible from the community — is ideal because of nearby electric and water infrastructure, and contended it would benefit Mountain House by generating clean energy, providing the opportunity for educational partnerships and creating jobs. However, no specific job total was given. CES said the substation has about 100 MW of capacity and only 10% or 10 MW is now utilized. CES said the electricity produced will be Market Price Referent (MPR) competitive at $0.10 to $0.15 per kWh (kilowatt-hour) when adjusted for peak Time-of-Day (TOD) rates. 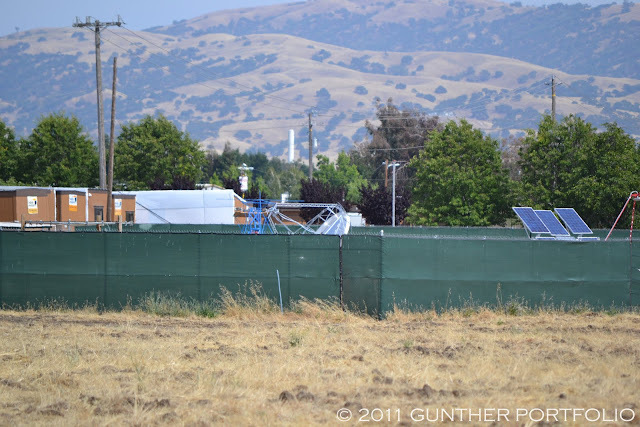 The solar project is in permitting with the County of Alameda, and CES expects to begin construction towards the end of 2011 continuing though Spring 2012 before coming online. The current project schedule represents a year and half delay from plans disclosed during Cool Earth Solar at the 22nd NREL Industry Growth Forum. 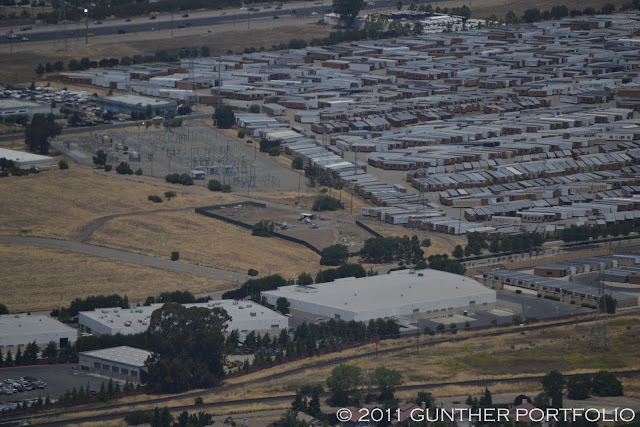 I snapped two photovoltaic (PV) rooftop system photos just before landing in Livermore. 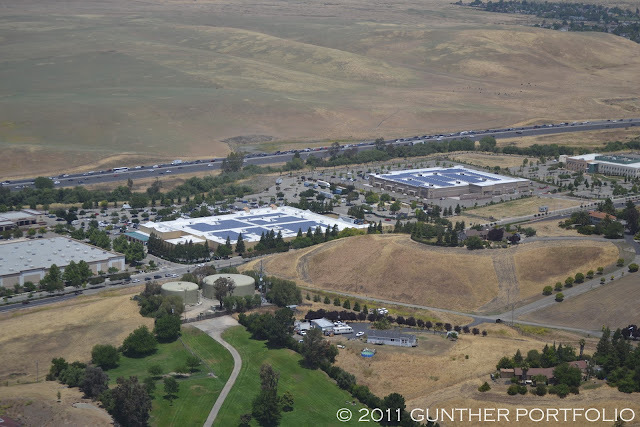 The first photo shows PV installations on the Wal-Mart Stores, Inc. and Kohl’s Corporation stores along Las Positas Road. 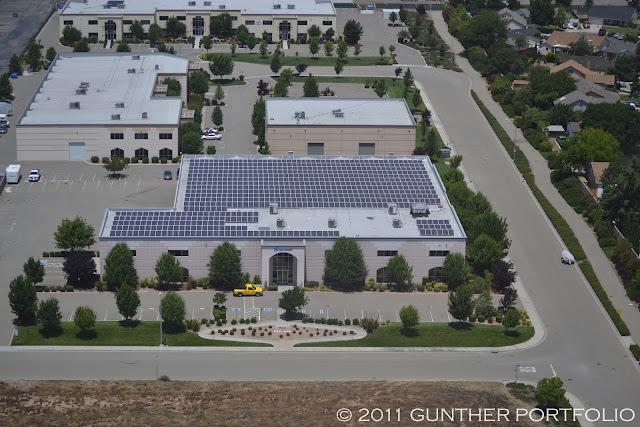 The second photo is of the 180 kW (kilowatt) PV rooftop system on Acutrack, Inc. located east of the airport on Sonic Avenue and installed by Solar Universe.